Van Long Ninh Binh natural reserve is located in Gia Vien district, Ninh Binh province. 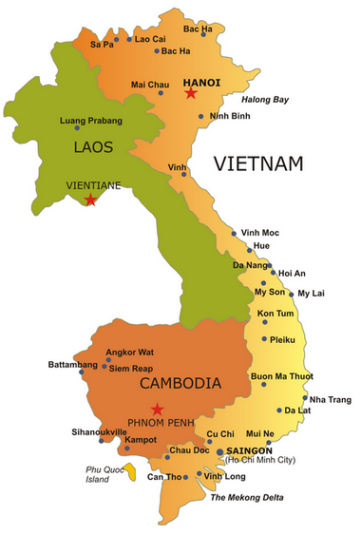 It is far about 90 kilometers from Hanoi to the south. Van Long is not only a natural reserve of wetlands but also the cultural relics. Van Long is a legendary land, a beautiful area and the largest natural reserve of wetlands. Here, guests will be seated on the boat to visit Van Long. A large space with spectacular mountain ranges creates a natural wall surrounded a vast expanse of water. With an area of 3000 hectares, Van Long natural reserve has 32 beautiful grotto such as: Ca Grotto, Bong Grotto, Rua Grotto, Chanh Grotto, each grotto has an unique beauty. The most beautiful grotto is Ca grotto in the Hoang Quyen Mountain. Among the grottos in Van Long, Thung Doi is the highest grotto with 210 meters height above ground; the largest grotto is Bong grotto (16 meter).